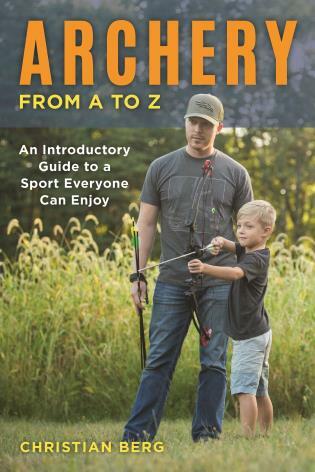 Archery from A to Z covers all the basics, from purchasing the first bow to shooting techniques, plus an introduction to competitive archery and numerous resources to help new shooters further their archery journeys. This comprehensive volume is an invaluable resource for anyone interested in getting involved in this exciting sport, including parents whose children have expressed a desire to shoot a bow. CHRISTIAN BERG is editor of Petersen’s Bowhunting magazine, the nation’s leading bowhunting publication, and host of the popular Petersen’s Bowhunting Radio podcast. An avid archer, Christian’s job has allowed him to spend the last decade learning from and collaborating with many of the nation’s foremost archery experts. Christian lives in Pennsylvania with his wife, two sons and a spoiled Labrador retriever.